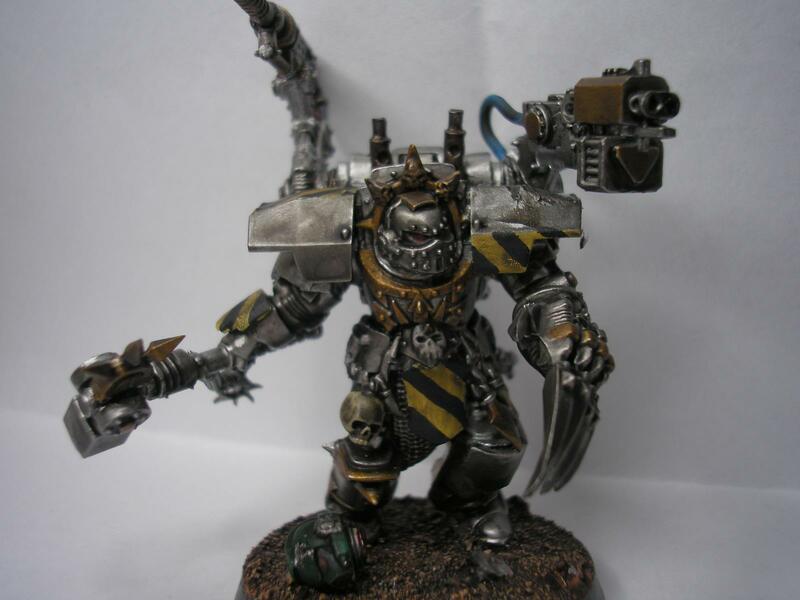 i have decided to reform my Iron warriors army and thought i would share some ideas and plans for the summer so i can bring a well made competitive Iron Warriors army back to University afterwards. Grand Warsmith Ferrox Kreige has a fearsome reputation, a Terran born who changed his Terran name to Ferrox Kreige, an Olympian name. 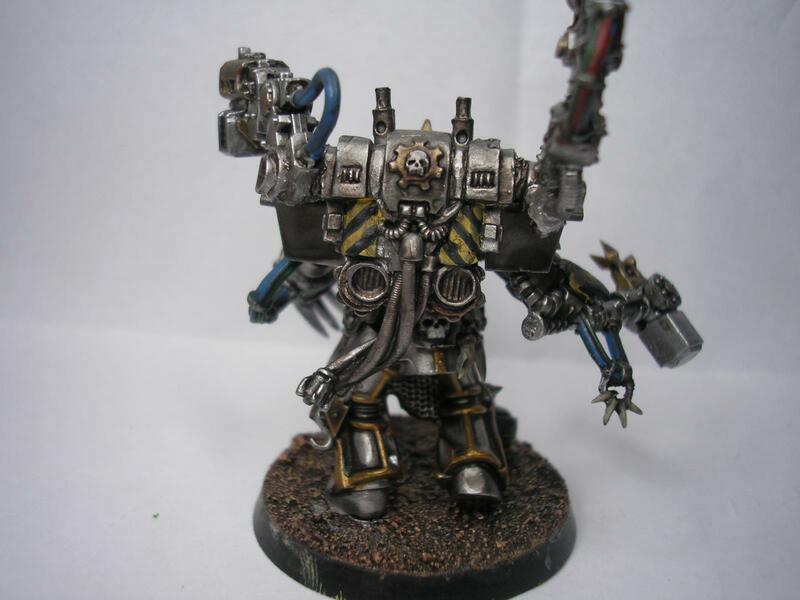 Kreige (a sergeant at the time of Perturabo's discovery) quickly rose in the ranks of the Iron Warriors immpressing his father with his steely determination and disregard of those who might hold him back. 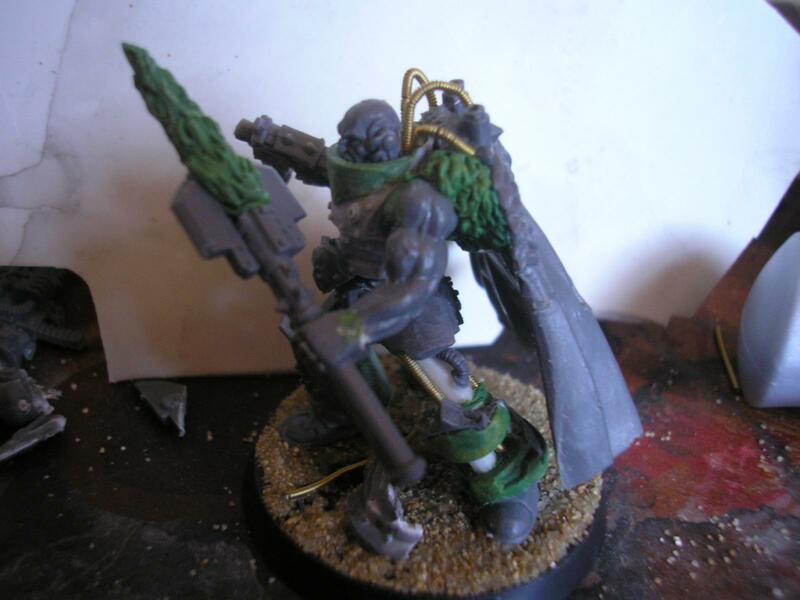 Kreige became Warsmith in the place of the failiure Warsmith Krendl and led his forces at the seige of Terra and has since banned religious dedication to chaos gods in favour of fighting for the destruction of mankinds shambling empire. 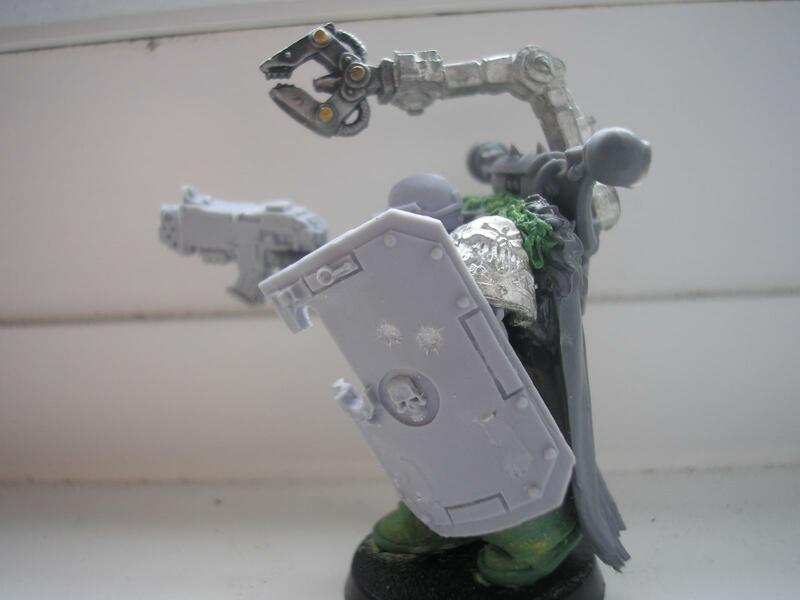 Since the failure of Horus' rebellion, Kreige has led a small sized force of Iron Warriors against citadels of all races contemplating what possible challenges could beat him after bringing the Emperor's own walls down. 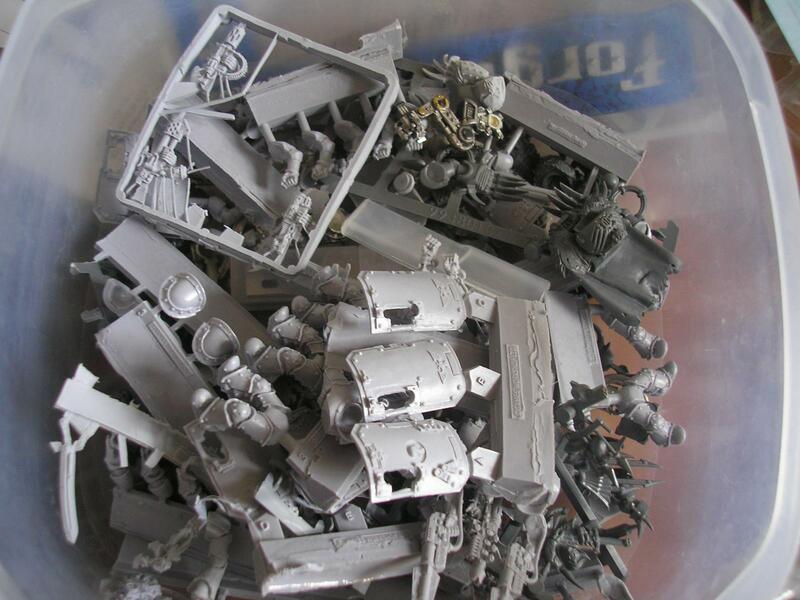 Kreige's exploits in carrying the Legions traditional style of warfare to great sucess and swelling of Legionnaires under his command has caused the Primarch to once again be interested in Kreige's abillities. 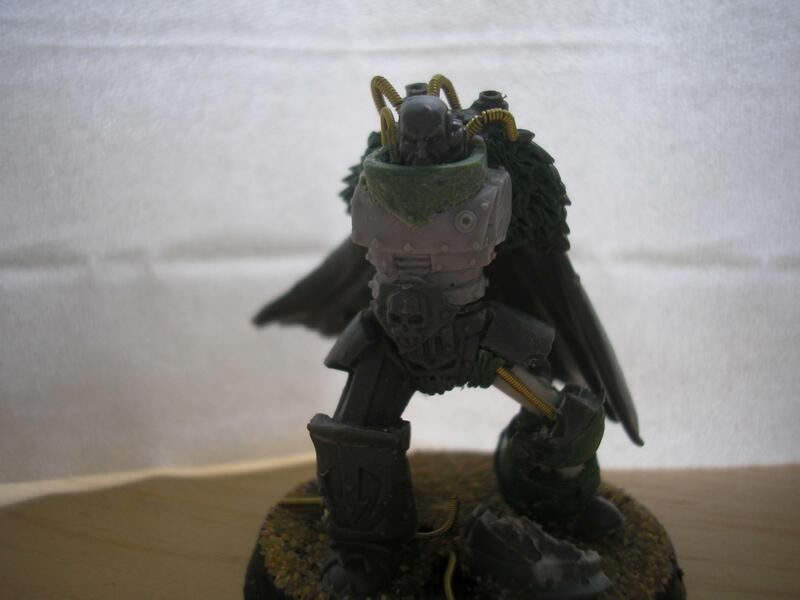 Peturabo has sent one of his most logical and successful commanders to bring Kreige back under the Primarch's gaze, an act that appears to have been unusually well received by Kreige. 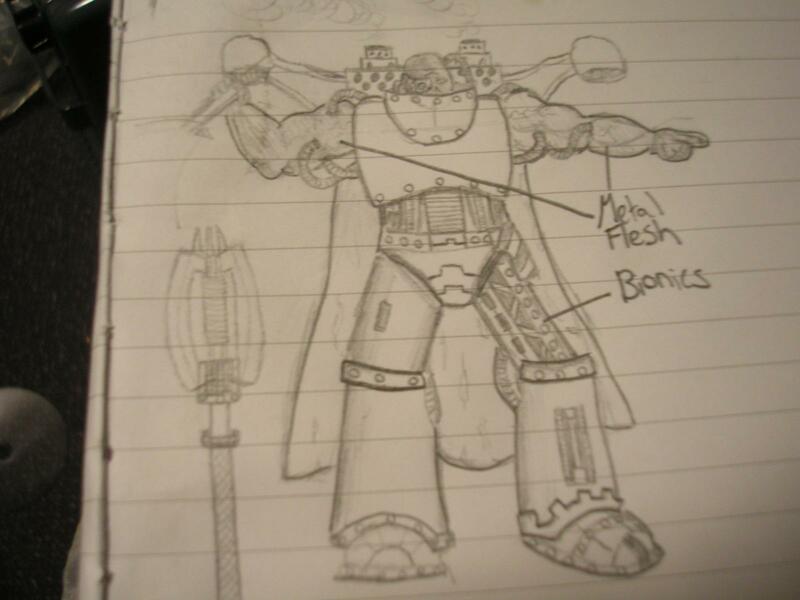 Flussigkeit literally became an Iron Warrior, An Astartes made of an unknown liquid metal contained within power armour. He found to his delight that his power increased dramatically and that his could send gouts of molten metal from his hands. 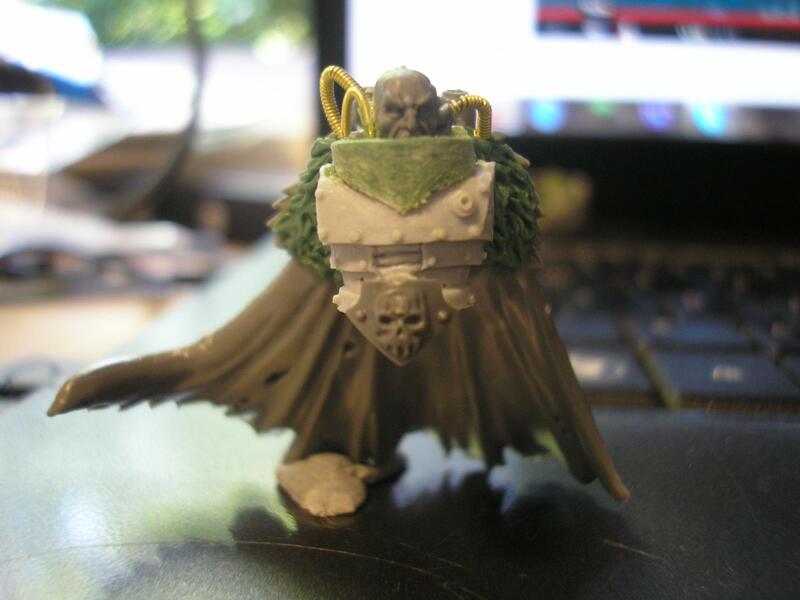 Rumour in the company is that a deal was struck with a Necrontyr lord and that his presence is no longer of human origin. 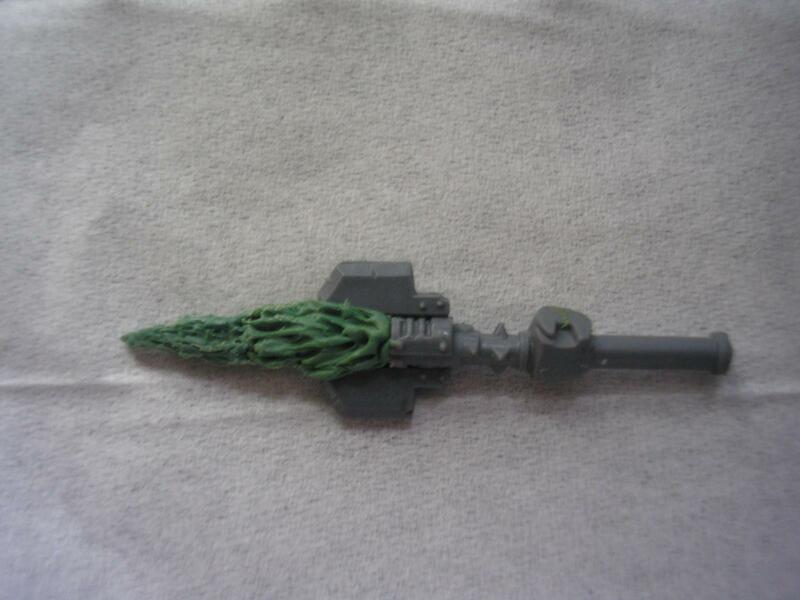 Recognising Flussigkeit's new power Kreige awarded Flussigkeit with an ancient weapon from mankinds infancy in the void, a staff with a blade of roaring plasma flame. whether this gift was given in respect or fear is left unanswered. 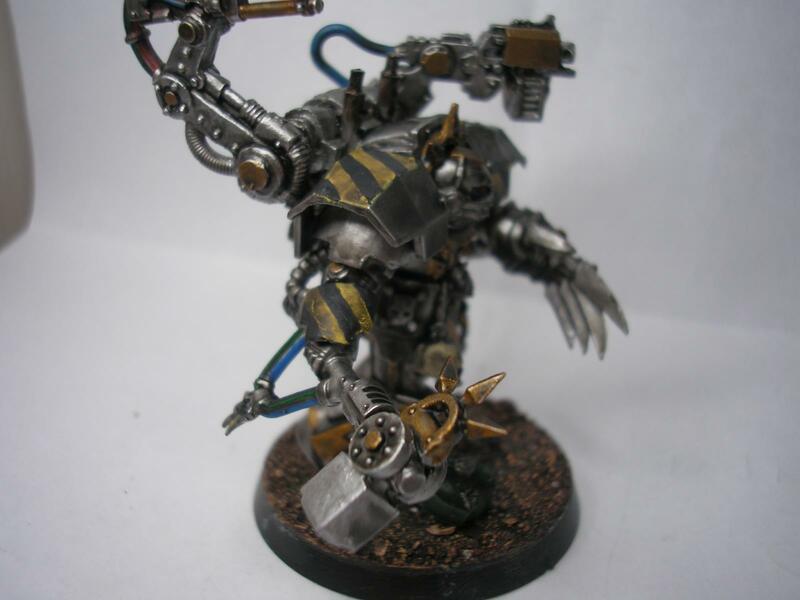 Greyall has kindly allowed me to use this character in my army and it is this peice of art that inspired me to re-make my Iron Warriors, his thread of artwork can be found on the following link allow with Fluff for this character. Ganimach has been almost completely accepted by Kreige (but not by many legionaires under his command) after the 'untimely death' of 11th companys assault captain, Ganimach has assumed control of close quarters assault forces in the 11th after orders from Peturabo to bring Kreige back under control and back into the other forces directly commanded by the Primarch. It remains to be seen whether Ganimach is present to take the 11th by force or whether he has convinced Kreige to return to the Peturabo for orders. 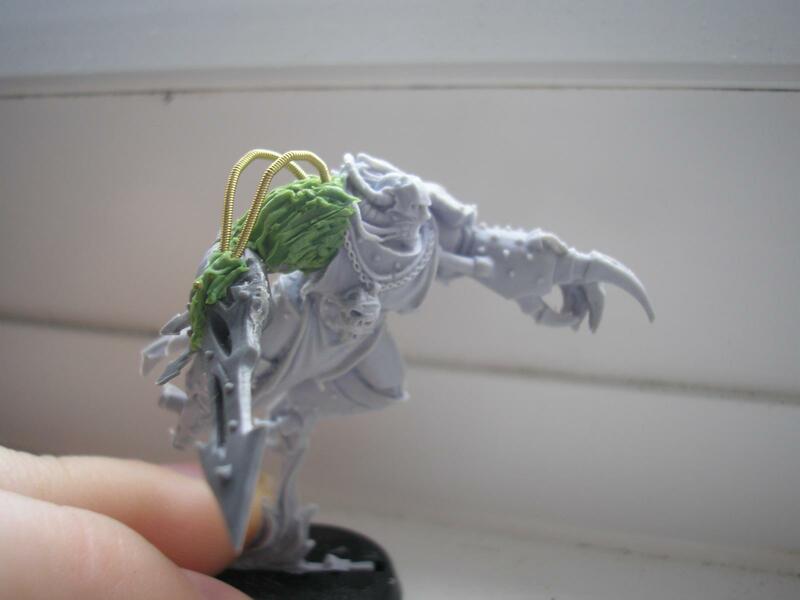 that is the fluffy part of the post for now, each squad champion with have his own backstory once i have made them. C&C is welcomed for the development of my characters or any advice would be appreciated. Edited by sword brethren, 10 September 2012 - 11:40 AM. i have been working on Flussigkeit for the past day/2 days and this is what i have so far. 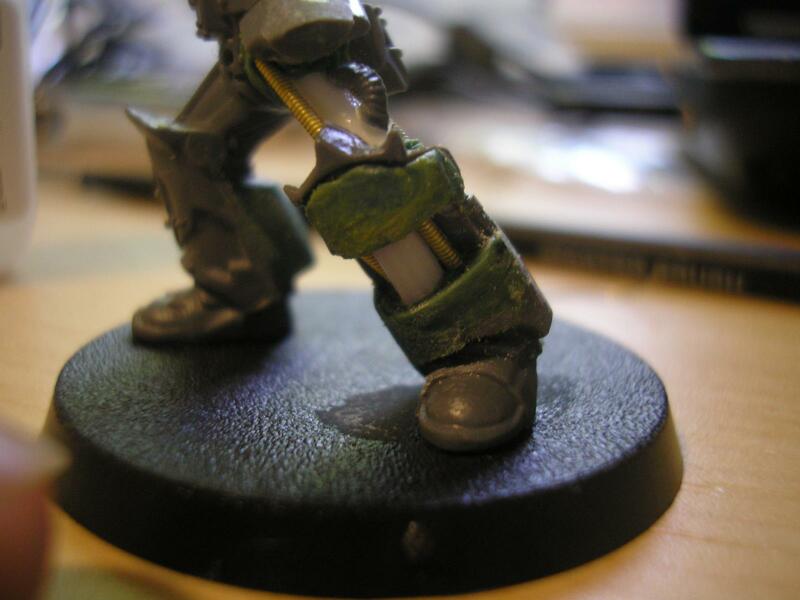 the torso is near completion but the legs are still very much in progress, as i type im mixing greenstuff (mixing it better this time) for the Plasma sword/lance/forceweapon thing. looking forward to you doing some of Greyall's art, looks like a challenge! ALL NEW CILLIT BANG!!! 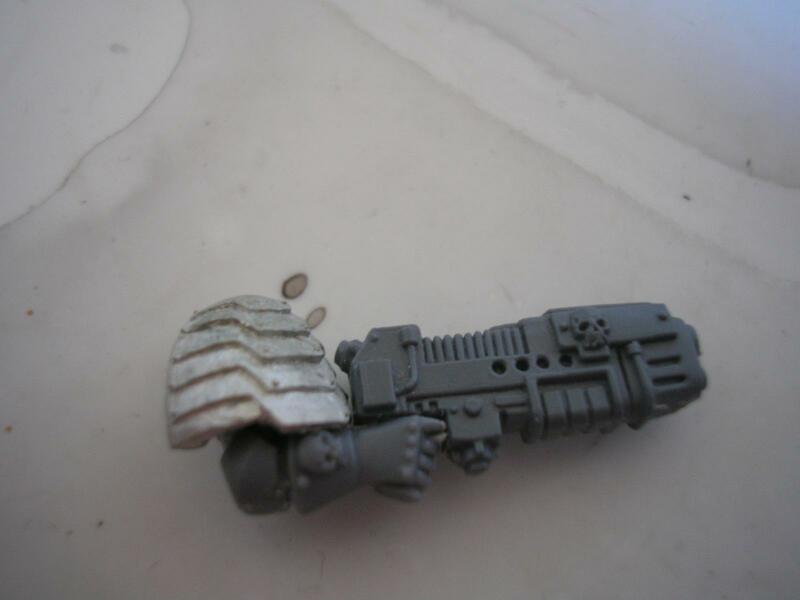 NOW FRAGRENCED WITH EXTERMINATUS!!!! You do know that Flussigkeit means nothing but "a liquid". I know it works with the fluff you have but anyone who knows a little german will find it more funny than anything else. Great conversions as always, though. I'm really looking forward to what you come up with for Greyall's artwork. When you slice yourself open with a hobby knife but the fine layer of superglue that coats you from the elbows down seals the wound before any blood can come out. And then you note the Larraman organ is working particularly well today. Visit my Blog and drop a comment! 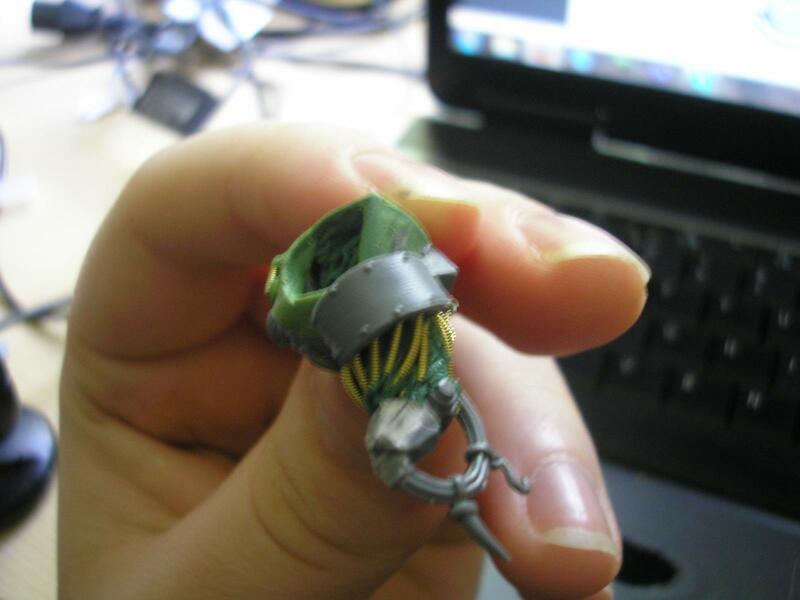 thanks guys, i cant wait to get stuff done on Grayall's art as well, im sculpting 'The Device' now, pics shoul dbe around in the morning. @cather the great - yeah i did that on purpose just to see if people noticed, im not set on the name, it was just something to write. Looks like he is coming along very well. 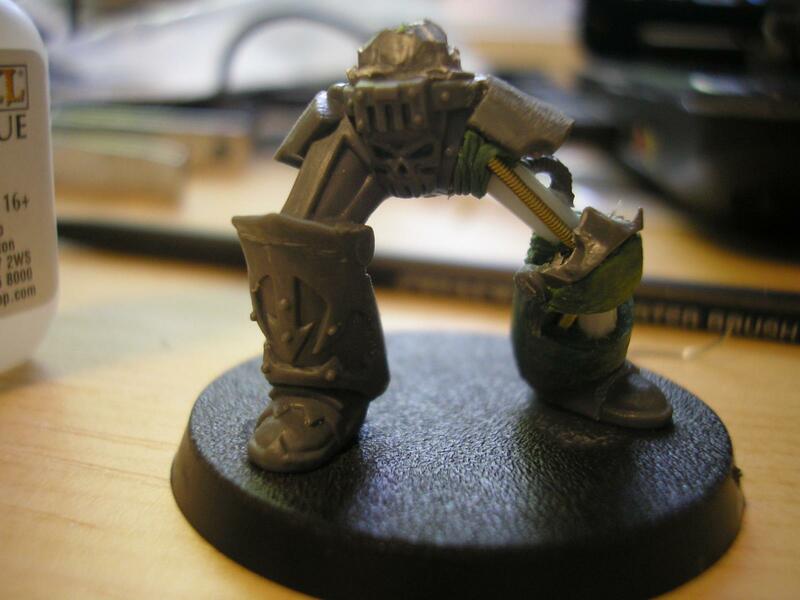 Really like the bionic leg you have for him. Thanks, im quite proud of the leg considering i only have a blunt knife, dented clippers and my girlfriends ruined nail file as tools. i have made progress on the Obliteraptor! still very much in progress but im quite pleased with it so far, let me know what you think! 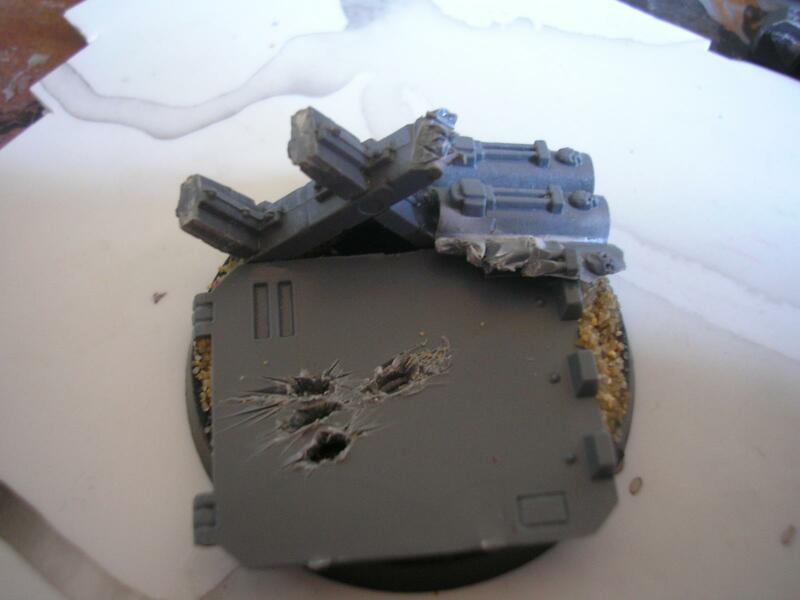 This is the Plasma CCweapon i made, any advise onthis would be great as i'm still not sure about it. Great stuff! 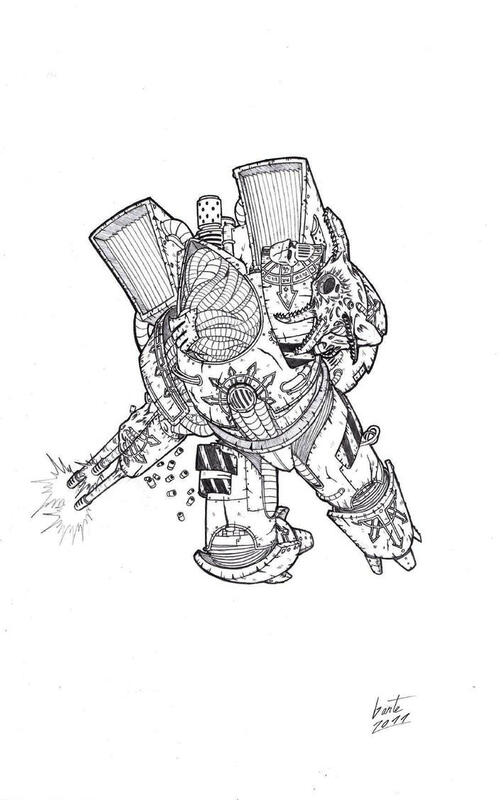 Looking forward to seeing more of the obliterator. 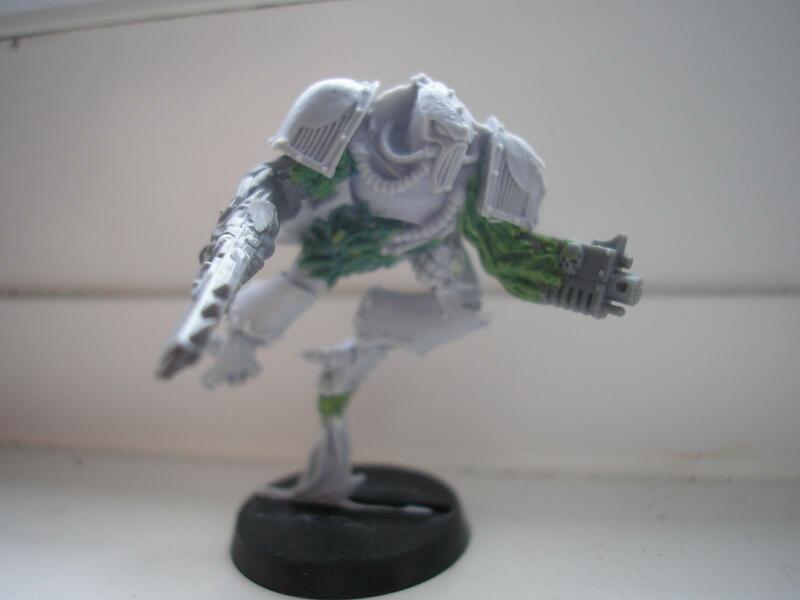 There something off about Flussigkeit leg pose. Almost like he's about to take a squatting position. Maybe if I could see some more pics from different angles, might be an illusion of sorts. Ganimach is going to look awesome! Can't wait to see him finished! i am back on the southcoast and back with all my bits and tools! this is how stuff is going. 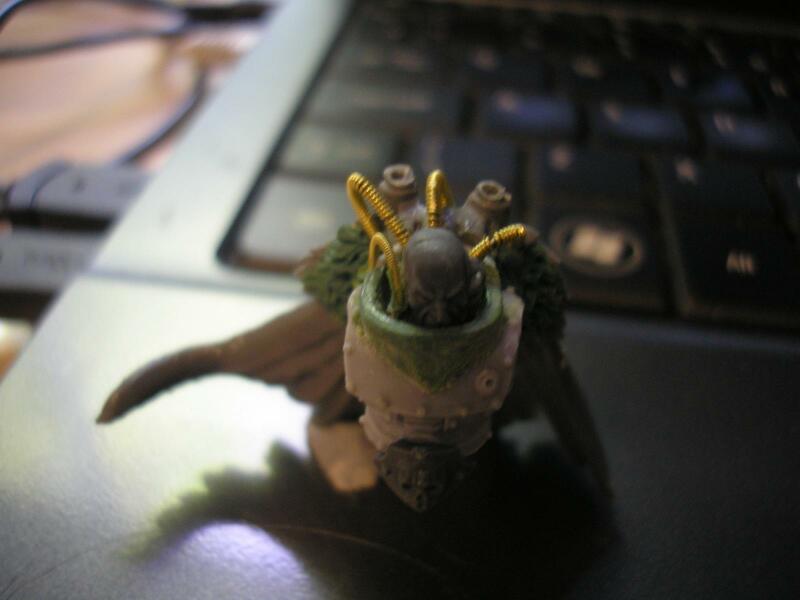 Ganimach has made alot of progress, i am waiting on parts for the jump pack. 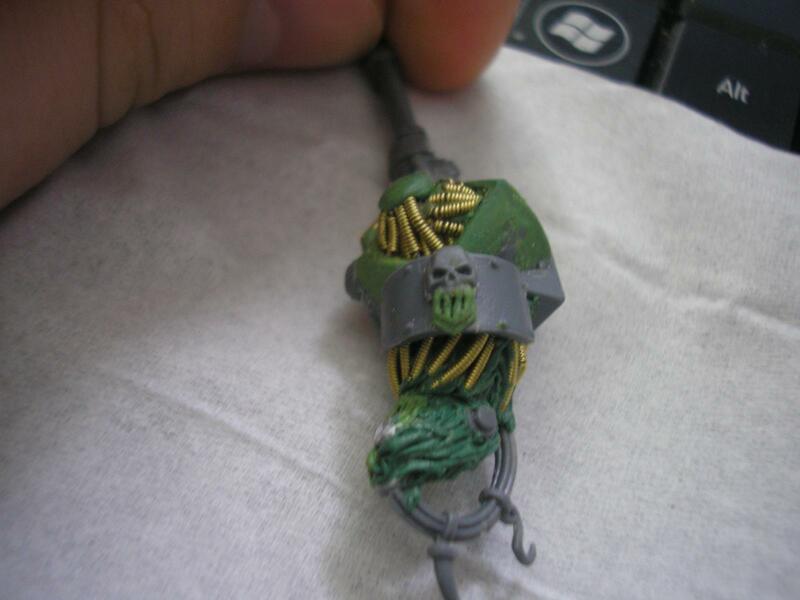 let me know what you think guys, hopefully ill have more up soon when forgeworld delivers. Loving the art style raptor. 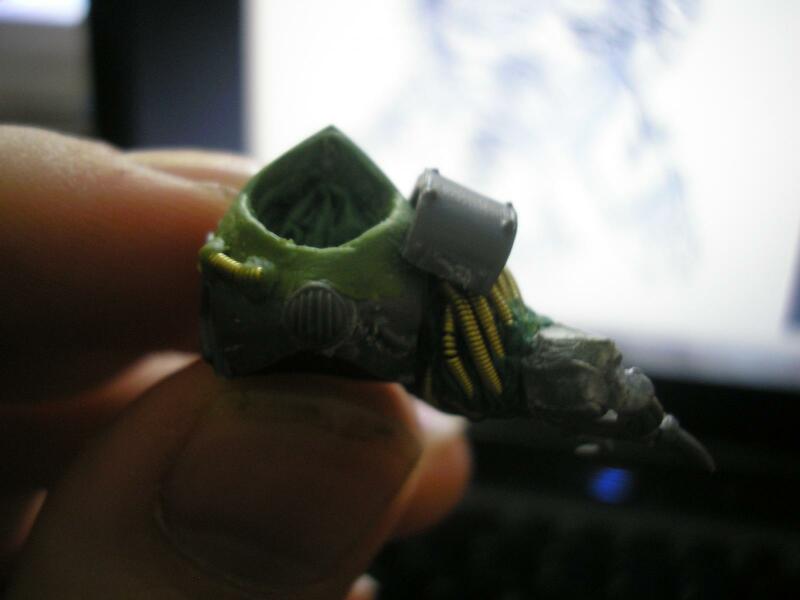 May I ask what wire you used for the pipes on the armour? its guitar wire but im not really (a very good) musician, i found it on bitsandkits.com its ne of the packs they do ion there. Flusgeit is freaking awesome! Seriously your modelling skills are off the chain right now! 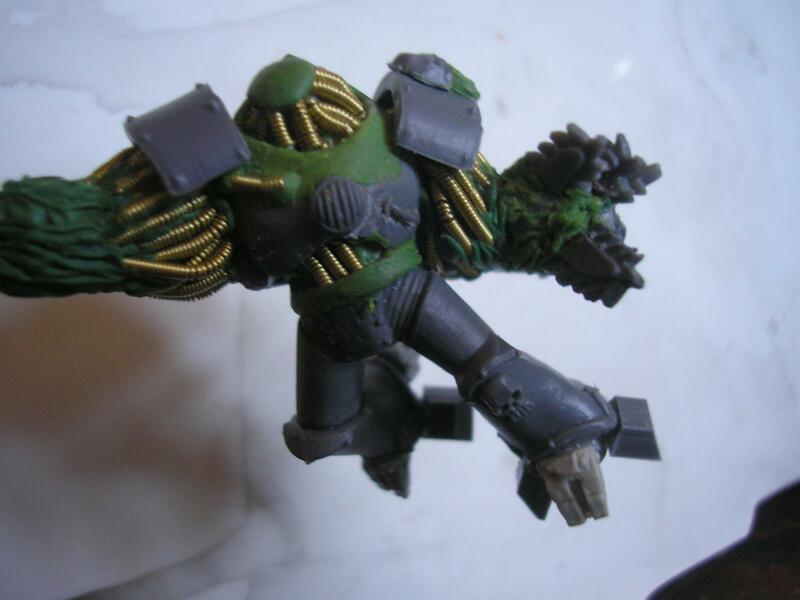 Only thing I would make different is make the chain blades on the obliteraptors arms a mm or two longer. 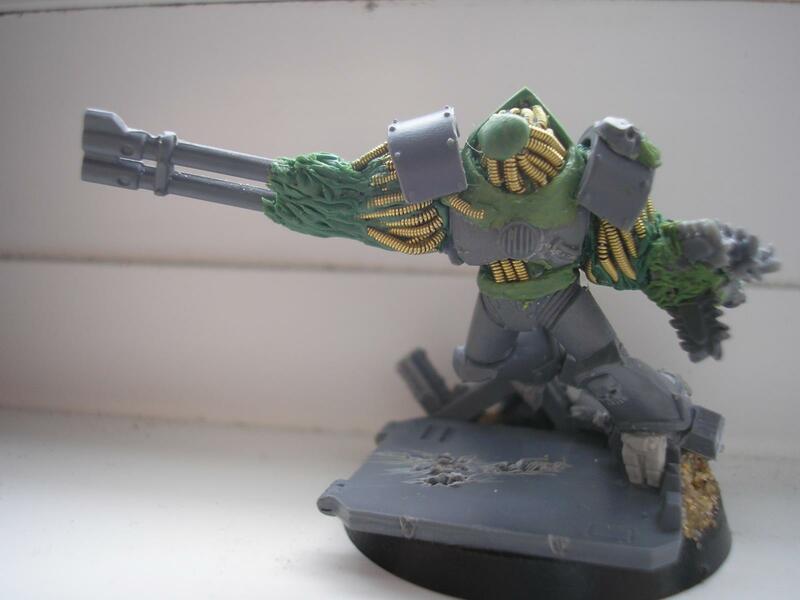 i see what you mean about the claws, i didn't want to make them look really long because the autocannon arm is already huge. 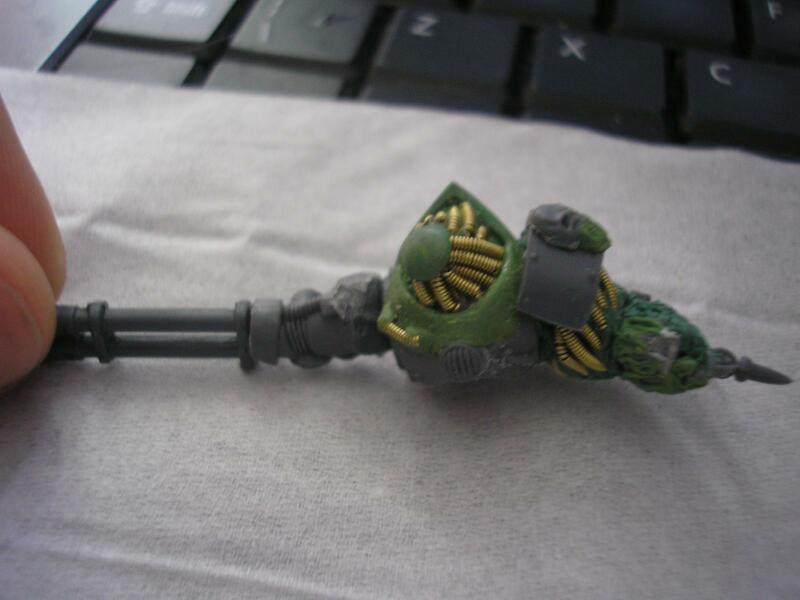 i have an update, my first 'plague marine', a champion with a powerfist and combiflamer. 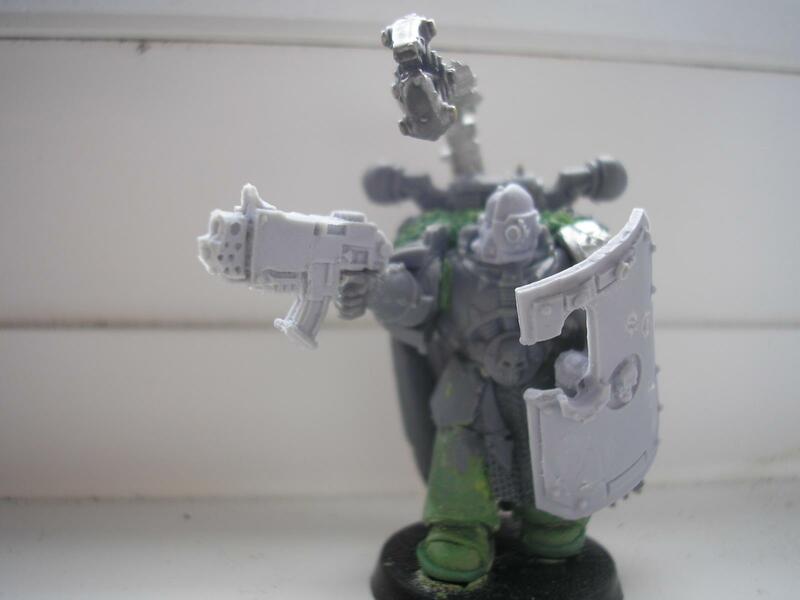 i don't know whether i should make the whole squad using the doghouse gothic marine method or just to two champions, what do you guys think? 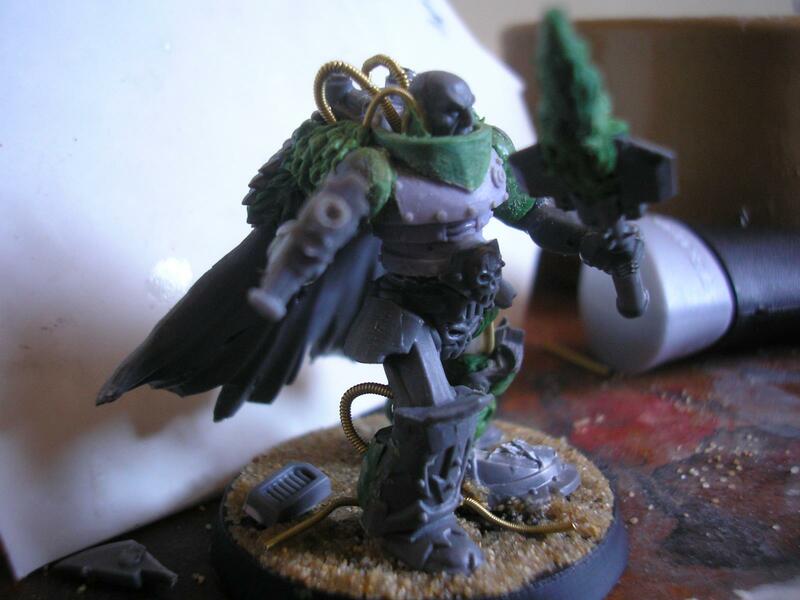 he is now mounted on his base ready for me to mount the jump pack and have a third try at his face. 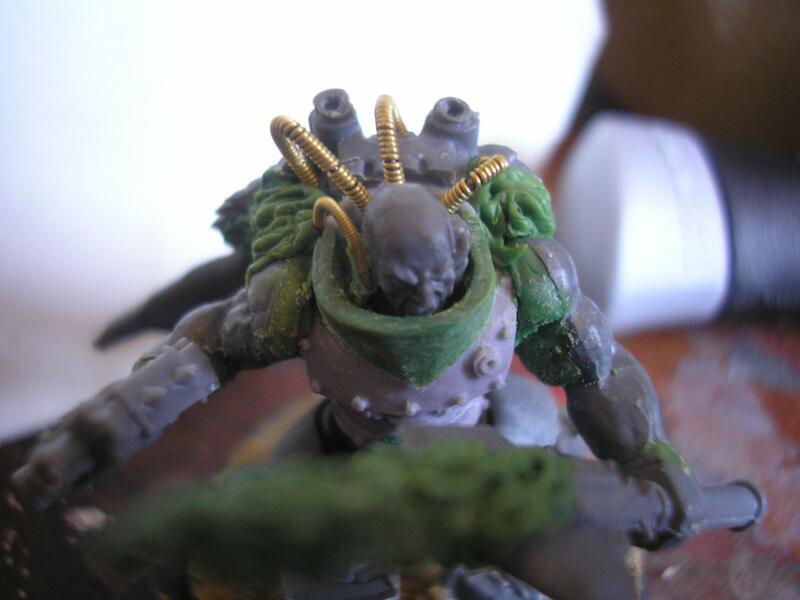 so i thought i would model these guys just in the starting phases of the Oblit virus. 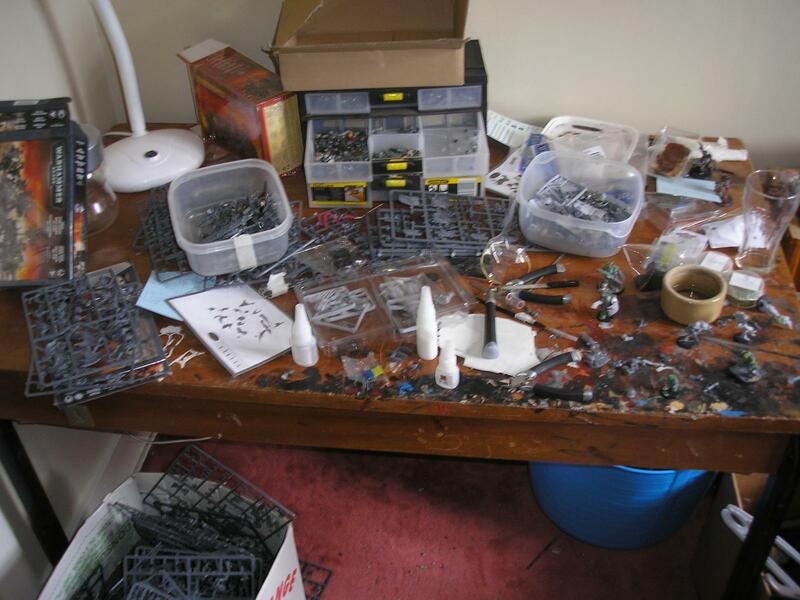 i also took a shot of my "best bitz" box, when i put all the cool looking bitz i am likely to use. Awesome! 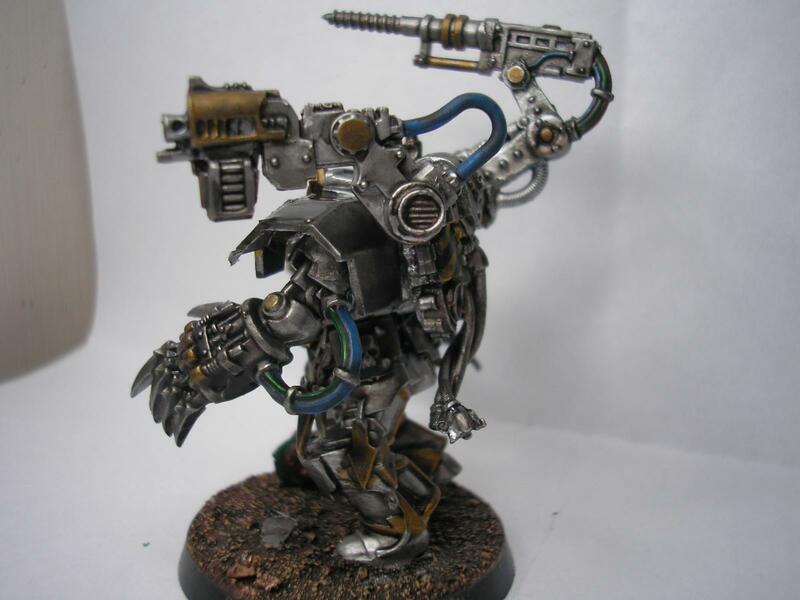 I'd been hopping your Iron Warriors would make a come back. 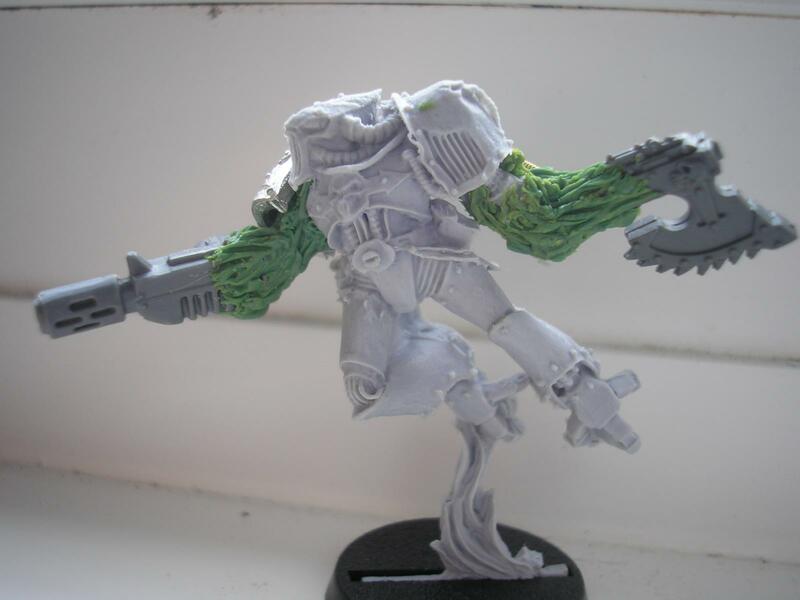 The new minis are looking great. The guitar wire is particularly good. Check out the E Tenebrae Lux challenge if you haven't already. These guys would be perfect for it. Edited by kizzdougs, 31 May 2012 - 12:53 PM. Edited by Wicced, 31 May 2012 - 02:02 PM. a new codex is a must, i hope we get legion traits! i checked out the link and took the plunge, i have sworn Flussigkeit and Ganimach with his retinue to the cause! 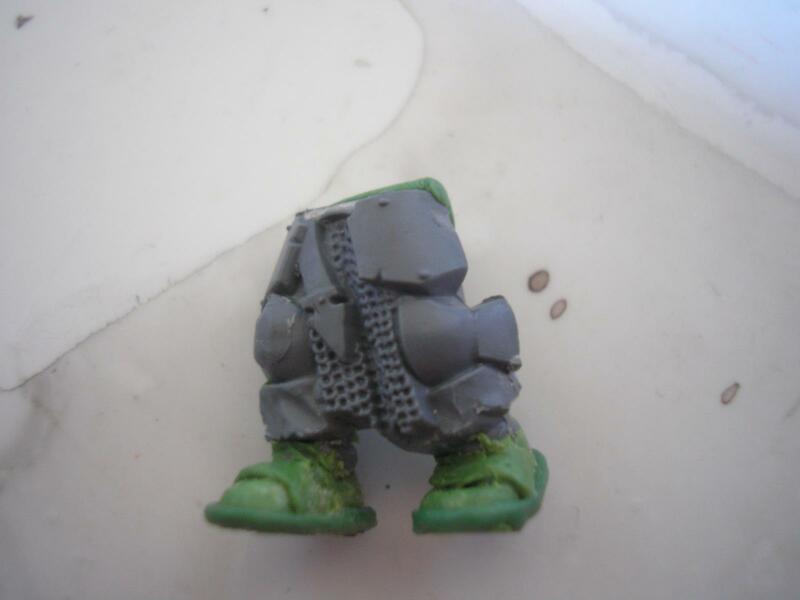 thanks, you are right about the leg, i dont know whether than is the picture or the model, i will take a closer look later. This looks great! Definitely want to see how this progresses. And the use of guitar string is a great idea. i like the champion but im not sure about the whole squad as you said, will they all have cloaks?